Now that we are on the colder, darker side of Labor Day (at least the Northern hemisphere folks), there is so much excitement in the air. I like to equate Fall and early winter with anticipation and deadlines and a rush to get things done - the time to think of those vacations, open up your winter wardrobe, carry that jacket with you to your workplace, and wake up in the mornings staring wistfully at the heater switch, wondering if it's too early to turn it on. Fall also means a new season for books and probably my favorite season to get some reading done, because it means cozying up in your favorite reading spot (in front of the fireplace if you have one), and minimal distractions to pull me out of my preferred activity. Since Fall has officially started (though there's still plenty of green around, so unofficially we are a long way), these are the books I'm most looking forward to. Hmm, Dennis Lehane! I have every one of his book on my TBR, one on my real shelf, and I haven't read him yet! But the more I hear of his books, the more I feel eager to read them. I already know he will be one of my favorite authors - I just need that break in my schedule to pick his book up. 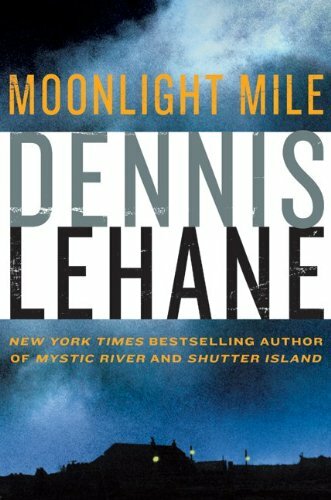 There is no description out yet for Moonlight Mile, but I'm sure many are already looking forward to this one. Less than a month to go for this second book in the Leviathan trilogy! 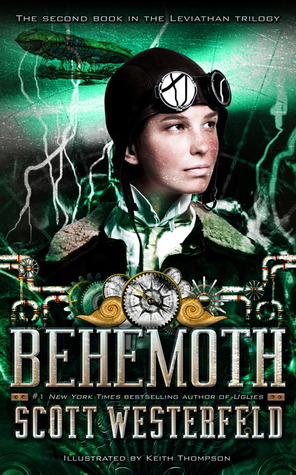 Having loved the first book, Leviathan, I'm eagerly looking forward to this steampunk novel - an alternate reality set during the beginnings of WW1. What I loved about Leviathan are the two protagonists and their very different yet charming natures. I can't wait to see where the story goes now. I'm a big Grisham fan. I loved his A Time to Kill, The Partner and The Last Juror. You can never go wrong with Grisham. Even though I know it will end in a climax that I never saw coming, I still get blown away by it. Although I still have so many of his books yet to read (lucky me), I know I'm going to enjoy them. For every innocent man sent to prison, there is a guilty one left on the outside. He doesn’t understand how the police and prosecutors got the wrong man, and he certainly doesn’t care. Time passes and he realizes that the mistake will not be corrected: the authorities believe in their case and are determined to get a conviction. He is relieved when the verdict is guilty. He laughs when the police and prosecutors congratulate themselves. He is content to allow an innocent person to go to prison, to serve hard time, even to be executed. Travis Boyette is such a man. In 1998, in the small East Texas city of Sloan, he abducted, raped, and strangled a popular high school cheerleader. He buried her body so that it would never be found, then watched in amazement as police and prosecutors arrested and convicted Donté Drumm, a local football star, and marched him off to death row. Now nine years have passed. Travis has just been paroled in Kansas for a different crime; Donté is four days away from his execution. Travis suffers from an inoperable brain tumor. For the first time in his miserable life, he decides to do what’s right and confess. But how can a guilty man convince lawyers, judges, and politicians that they’re about to execute an innocent man? I really need to read Leviathan! I have borrowed it from the library a couple of times now. I want Moonlight Mile and The Confession and Carl will probably want Behemoth. Great finds! I would read Moonlight Mile. I didn't love Shutter Island but I did enjoy his writing. Oooooooooooo I need to read this. I LOVE the Scott Westerfeld's Uglies series. Leviathan sounds like the coolest book ever, and I'm sure Behemoth is a great sequel! From what I remember, I love Scott Westerfeld. I need to check out the series. Awesome finds, Aths!